When the Red River Valley had a drought in 1988 there was very little crop, At the age of 45 Winnie was challenged to find yet another way to put food on their table for their family of seven. She decided to share her recipes and the life’s skills she had gleaned since she was a child into cookbooks. Her life of sharing has become her passion as she believes that healthy living and nutritious fruits, vegetables, grains, seeds & nuts can be the medicine we need to stay as healthy as possible and as well help prevent us from getting many diseases. Two of the many seeds that had a huge impact on Winnie’s own health are flax and soybeans. It was when I was in my 50’s that my nights were interrupted by the dreaded “hot flashes” that I had often heard women talk about. I had no idea at that time if I could do anything nutritionally to fight these nightly sweats but I began to read all I could on the subject. The first book I bought was called, “Good Nutrition for a Healthy Menopause” by one of Canada’s leading nutrition experts, Louise Lambert-Lagace’. 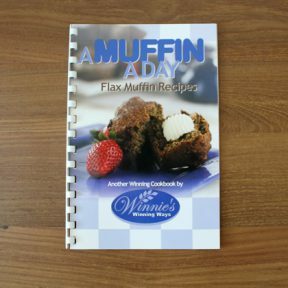 One of the suggestions in her book is to include both flax and soybeans in our daily diet. Two tablespoons of crushed flax had already been on our breakfast menu for many years, but not soybeans. We have always lived on a farm so I had plenty of space for a garden and as well had access to many kinds of grains. I enjoyed preparing meals using all of these grains, seeds, vegetables and fruits; as well the milk, cheese, butter and cream our cows provided daily. One year our son added soybeans to his crop rotation. When he was harvesting that first crop, I was at the truck while he unloaded with a few grain bags. I took home several bushels to see if I could turn those soybeans into soy milk. It wasn’t long before I was enjoying delicious soy milk. I had been having problems digesting cow’s milk so I wanted to try soy milk & I wasn’t about to buy it in the store if I could make it from scratch and I did. But the winter was long and there were plenty of soybeans in those bags, so I continued to experiment. I then wanted to see what I could do with the whole soybean so I wouldn’t have to throw out the rich by-product Okara, when making the milk. I had always heard and believed that it was healthier consuming the whole food and not just a part of it so I didn’t want to take anything away from the soybean that was so healthy. I had learned how to make the soy milk and through that process I learned how to get rid of the beany taste. That is when I decided to prepare the soybeans and then turn them into a soy crème by using the whole soybean. Was it good! 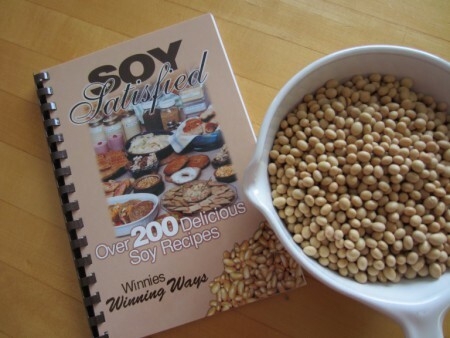 By winters end I had turned those 2 bags of soybeans into over 200 recipes by using soy milk, soynuts and soy crème; and in the end a cookbook was born called, “SOY SATISFIED” But it didn’t end there. I was introduced to Dr. Hydamaka at the University of Manitoba and I soon found myself working on a soybean study. I wanted to prepare the soybeans into a soy crème to sell in grocery stores. My samples were sent away to be analyzed to be sure that most of the tripson inhibitors were removed so the product would be easy to digest. That was accomplished, but that is when the professor suggested that I turn this wet product into a dry product. The shelf life would be much longer as a powder. We were soon off to the Food Development Centre in Portage periodically with large bags of prepared, dried soybeans. We were in search of the right machine that could dry the prepared soybeans in large batches and then mill them into powder. I brought home the soy crème powder they milled for me and turned it into a waffle/ pancake mix, a dessert/cookie mix and as cracker mix. I prepared small runs of soy crème powder, designed packages, & nutritional labels & I was soon off to shows; taste testing & selling these mixes a few at a time. They were a hit! That is when I realized that I was not cut out to be a manufacturer. I just wanted to continue to work with seeds and flours and create more healthy recipes and have the time to feed my family as well. So I packed samples of the mixes up, put them into the freezer where they still are today and I went back to making wet inexpensive soy crème, storing it in the fridge and using it fresh from day to day following the recipes published in the SOY SATISFIED cookbook. I was happy to be back in my comfort zone, creating more recipes. I soon printed 2 supplement to SOY SATISFIED with recipes for cheesey cakes, soups, salad crème and more. By consuming soybeans regularly for a few months I realized my hot flashes were over. If I missed either the flax or soybeans for a number of weeks, I would wake up in the night and find myself again throwing off the covers. 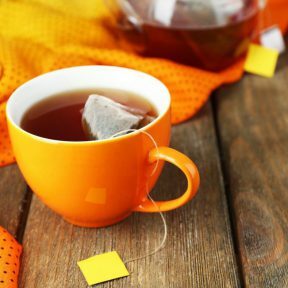 This confirmed to me that these two foods were definitely worth including in my regular diet for menopause. 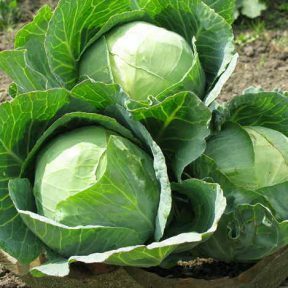 Over the years I have learned that the many nutrients in these two seeds are a great addition to most diets for so many other reasons as well. Soy crème is so easy to make by preparing the soybeans, blending it smooth and just storing this thick creme in the fridge or freezing it for later on. It costs only pennies to make and can save so much on ones grocery bill. All of the steps to success and as well recipes are included in SOY SATISFIED and the eBook supplements that come with each SOY SATISFIED cookbook. For just $10.00 you too can own all of these recipes and serve delicious nutritious meals, snacks, drinks and desserts providing the many nutrients found in the whole soybean. Just a few weeks ago I read of studies done that reveal that people living in Japan, China and other Asian countries are thriving on consuming soybeans as a whole food. In the Western World most soybeans are highly processed and separated with unhealthy ingredients added for extended shelf-life. Wouldn’t this encourage each of us to prepare our own soybeans at home using pure water, no additives and just soybeans? By following the recipes in SOY SATISFIED cookbook or the supplements, this can be so simple and so very nutritious! Beginning March 20/16, $5.00 (or half) of the proceeds of all SOY SATISFIED cookbooks & eBooks will be going to purchase supplies, books & furnishings to start a school in Fiji! I will keep you posted when things begin to happen in Fiji!